I have been a fan of Emma Chase from the beginning. My copy of Tangled is the indie published ebook – the one featuring the beige sheets instead of the red ones. I stumbled upon it a couple of weeks after its release and was amazed by how an author could make me cry like a baby and laugh myself silly, all while writing from the male point of view. Crying wasn’t a biggie because with the right storyline, an author can rip my heart out and wring it dry. It was the laughter that shocked me. I’m pretty sure that Tangled was the first real romantic comedy I’ve read and with it, Chase secured a spot on my watch list, and with each subsequent book of the author’s I read, she secured her spot on my must-read list. Royally Screwed not only continued to validate her position on that list, it made me laugh and cry in just the right amounts and left me wanting January to get here sooner so that I can remain in Wessco with the royal family. While the prologue is intended to give the reader an understanding of why Nicholas is able to live his life under the close scrutiny of the press – he’s never known a time in his life when they weren’t present – it is the first chapter that really pulled me into the story. 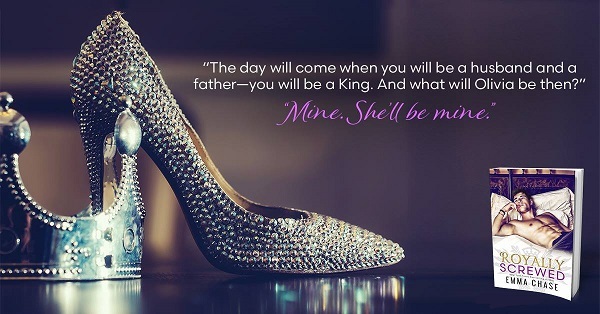 I love the way Chase writes her male characters and I found Nicholas even more entertaining because of the dichotomy between what he wanted to say and what he had to say to maintain his image as the heir to the throne. There were certainly times I wanted him to be able to say what he was thinking, but I understood why he could not and those times I was happy that he had the judgement to know when to hold his tongue – sadly, there is a time when the skill fails him and does so spectacularly. But prior to that, watching him get rejected by Olivia, watching him apologize to her, and then watching him pursue her – all things it’s painfully obvious he’s not used to having to do – was wonderfully entertaining. And endearing because you could tell that Nicholas didn’t get to just be himself often, so it wasn’t difficult to understand why their relationship progressed as it did. What wasn’t fun to watch was Olivia learning just how nasty the aristocracy could be, but thankfully, she found an unexpected ally in Franny. Yet the ups and downs were well worth the ending as Chase managed to give the couple the royal ending they deserved – which also set the stage for book two quite beautifully. One of the things I appreciated about Royally Screwed is that while Chase doesn’t skimp on the humor, it occurs a bit more subtly in several places. This fits well with the characterization I believe many Americans have with royalty: that they’re far more buttoned-up and less crass than the regular guy – at least in public they are. There is a nice balance between the sharp-edge-of-the-tongue humor and the intentional humor that one would use in an effort to break the tension, but not over-the-top humor. 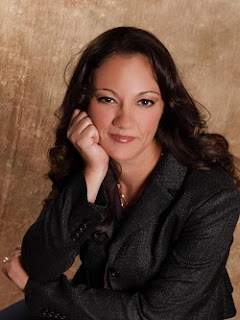 I loved the family relationships and how even though Nicholas’s family couldn’t approve of his relationship with Olivia, they weren’t as unsympathetic as they appeared at first glance. 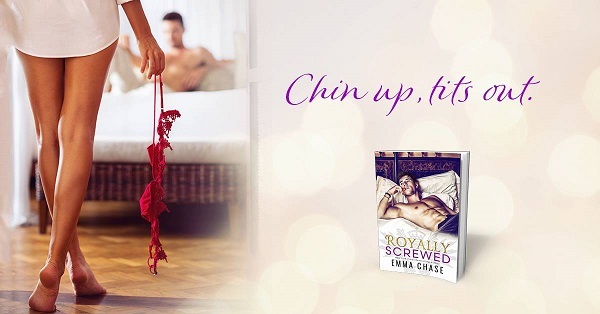 My only real complaint about Royally Screwed is that I wish there had been more – I would have loved to see what took place in the eight months between the last chapter and the Epilogue, but I can never get enough of Chase’s writing. 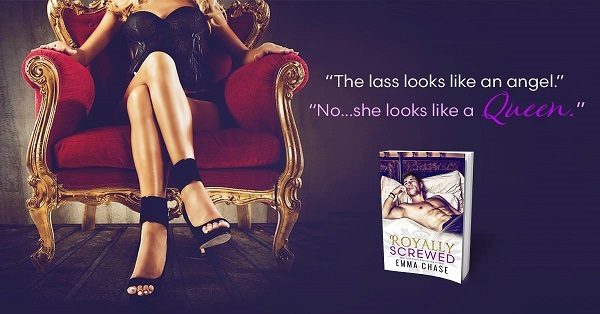 I loved Royally Screwed and cannot wait for the release of Royally Matched so I can read Henry’s story. 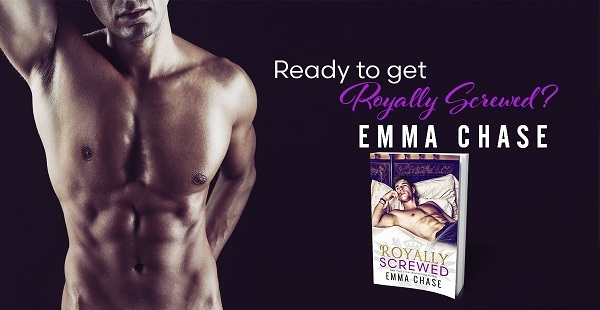 Reviewers on the Wicked Reads Review Team were provided a free copy of Royally Screwed (Royally #1) by Emma Chase to read and review for this tour.